A Bikita Minerals employee died late last night (December 05) after being trapped by a running conveyor belt which he was trying to adjust. The victim’s name has been given as Kudzai Manjonjo who worked in the milling plant. Bikita Minerals has since released a press statement, reaffirming its commitment to a safe working environment. 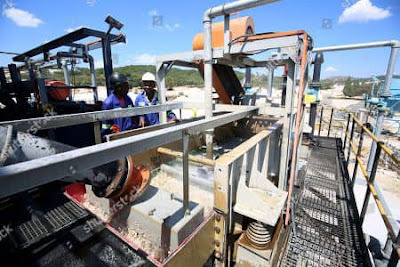 “Bikita Minerals regrets to advise of an incident last night (5 December 2018) that claimed the life of one of its valued employees. Circumstances surrounding the incident are currently under investigation by both the authorities and mine management. Meanwhile, the mine management led by the Chief Operating Officer Dave Saunders, and the mine Manager, David Mwanza has met with the family to express the mine’s sincere condolences,” part of the statement reads. The incident comes as a shock for many people as Bikita Minerals has had a largely unblemished safety record for over a decade. The company also adheres to a strict safety regime by which workers are drilled every morning, with a quarterly newsletter being one of the other measures taken to spread the message of safety and security.